One of my definitions of sheer joy is getting in the kitchen with any one of my kids. Last week, Samuel told me he wanted to make something with me. WOOHOO! 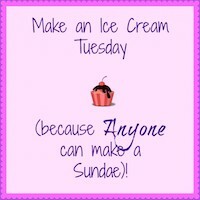 My friend Jenni, from Pastry Chef Online, is hosting another delicious Ice Cream Tuesday today and I thought this would be something perfect to do with Samuel. We’re not making ice cream; we’re simply using already made ice cream. I made my first batch of ice cream not too long ago. The Chocolate Coconut Ice Cream was really good but it takes too long to make, when I am having a ‘must have ice cream NOW’ moment. I, also, knew that it would not sit well with Samuel to tell him that we would enjoy what we made the next day. My kids have grown up loving Oreo cookies. My oldest son, Joshua, would break up Oreos, put them into a bowl and pour milk over them like a bowl of cereal. There were times I saw him eating this in the morning and wondered if in fact he considered it to be the most nutritious way to start his day. Now Joshua is about to start med school and Samuel is here with me. I guess his older siblings have rubbed off on him because I see him enjoying the same Oreo and milk in a bowl snack from time to time. Naturally, Oreo Milkshake was Samuel’s suggestion. Have I mentioned how smart he is? The first round was a tad too heavy on the Oreos. We added more ice cream and cookies so we would have a few pieces to chew on; we did not process the add-ins very long. It worked out nicely because the first round of blending really pulverized the cookies and I like a bit of texture in my milkshakes. Because the Oreo Milkshake was so delicious, I decided to keep the two-step process of adding additional ice cream and cookies after the initial blending. If you like a creamy milkshake, I suggest adding all of the ice cream and cookies with the milk at the beginning. Whichever way you go, I am sure your face will be beaming as much as Samuel’s. Actually, I hope you make yours with someone as special as Samuel! His ear-to-ear smile is priceless. Be sure to check out the video. I know I may be a tad biased but I think Samuel ROCKED and you can see from his reaction that you can’t go wrong making an Oreo Milkshake. Place 6 Oreo cookies in a small plastic freezer bag. Use the bottom of a measuring cup to smash the cookies into small pieces. Set aside. 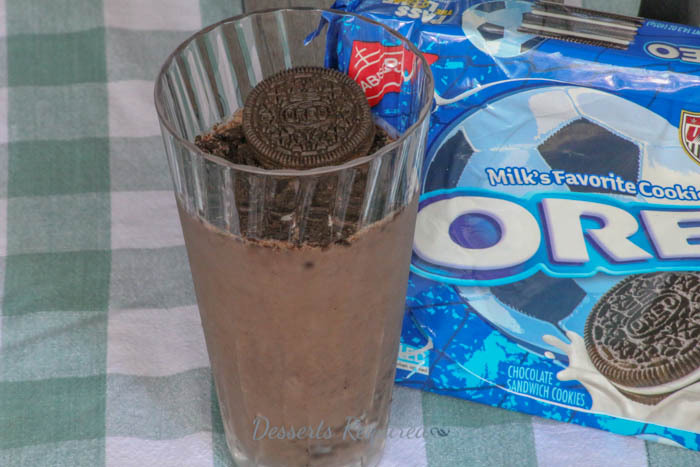 Place 6 scoops of ice cream, 6 Oreos and the milk into a blender. Blend until the mixture processes. Add 2 more scoops of ice cream and 4 more cookies. Pulse the mixture on/off just until the ice cream is blended in. Divide the milkshake between 2 glasses. Sprinkle the smashed cookies over the top and place a whole Oreo cookie on top. 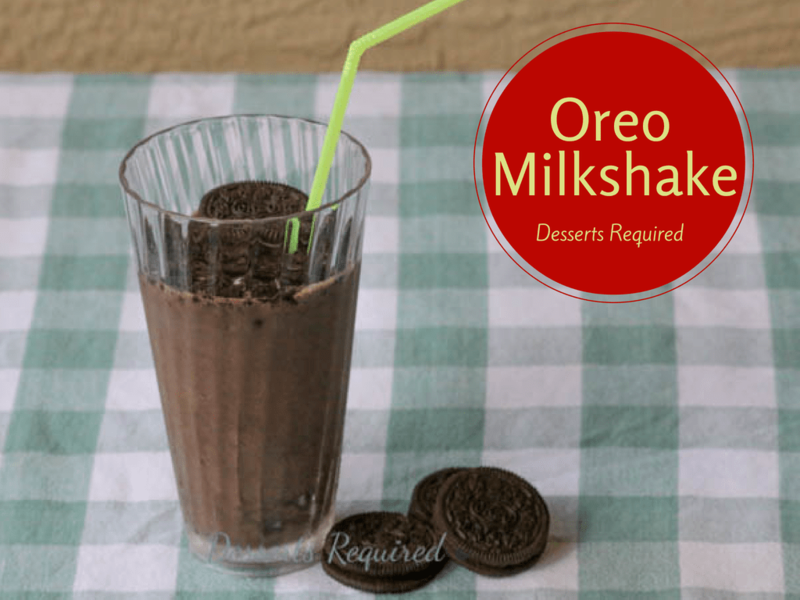 I like a bit of a texture to my Oreo Milkshake, which is why I blend it as described above. 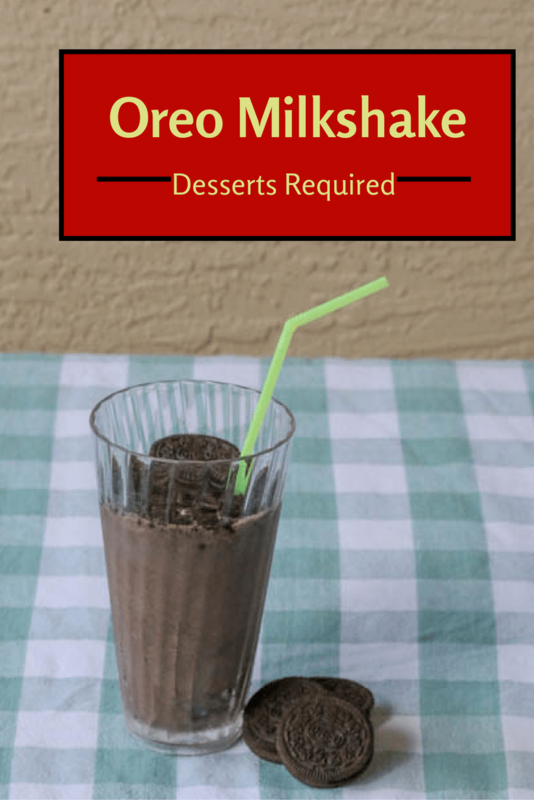 If you prefer a smooth milkshake, blend 10 Oreos and 8 scoops of ice cream at the same time. This recipe makes 2 generous servings. Feel free to pour into smaller glasses and share with more friends or, better yet, double the recipe. Samuel AND I thank you! 😉 And, yes, it is very dangerous!!! This is too cute – Samuel rocked! And you are a sinfully good mom! Awwwww, thank you. You just made my day!! This is a real treat!! 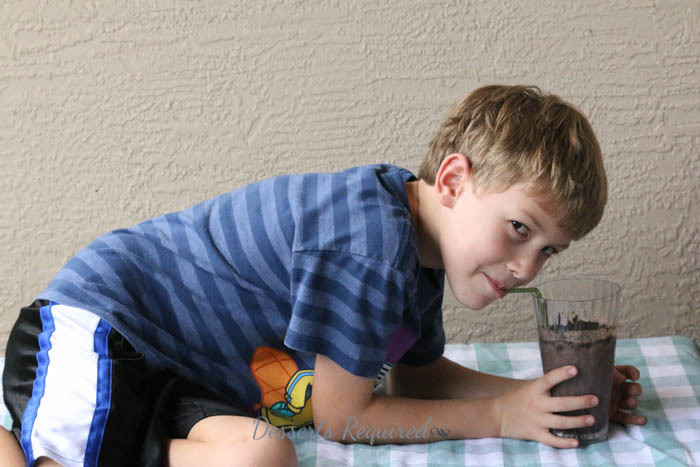 I, highly, recommend Oreo Milkshakes for all parties involved. How could they not help bring peace with all the ooohs and aaaahs? Thanks so much. Samuel is beaming from ear to ear!! You are not helping my craving for Oreos, my dear! I may have to buy some and show my support for your milkshake. Heehee…oh the things I do for my friends! Thank you, also, for the wonderful compliments about my baby boy! Betsy: I sent this recipe to our children to share with our grandchildren. Although decadent, it looks d-e-l-I-c-I-o-u-s! Once HRH discovered the milkshakes at our local ice cream shop, it was all over. There’s just something about a milkshake. YUMMMM times a million!!! I have a soft spot for all things Oreo! I can understand why. Oreos are so addicting! Thanks so much. I am, totally, bribable for Oreos!